We’re normally a tent camping family. You know, pack it all up in the family mini-van and head into the woods. So, when Jay’s parents took us on a road trip from Vancouver Island all the way to Southern California in their 32 foot RV, I was heading into uncharted territory. 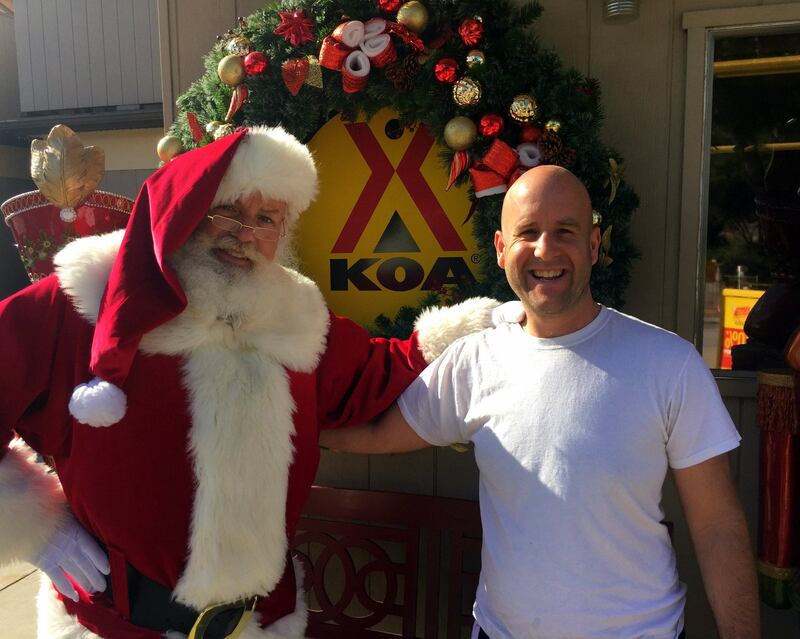 It wasn’t until we drove into the San Diego Metro KOA Campground that I realized how wonderful RV camping could be. 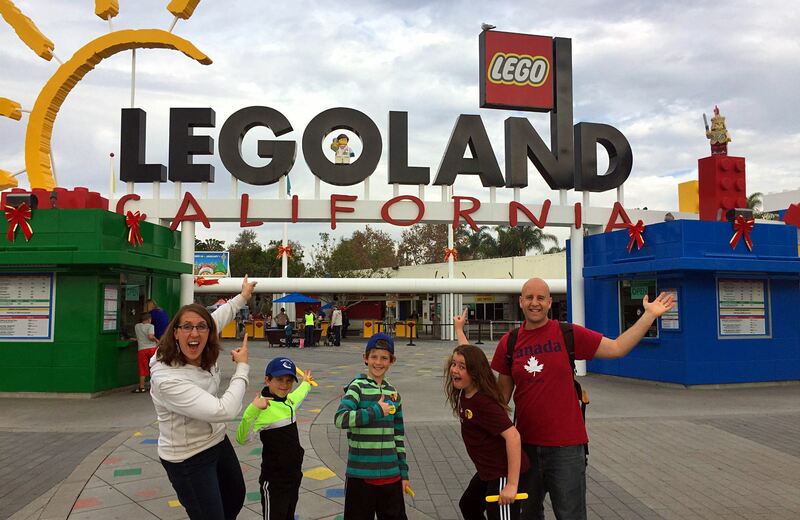 We had been on the road for just over a week including a 4 day adventure at Disneyland Resort. 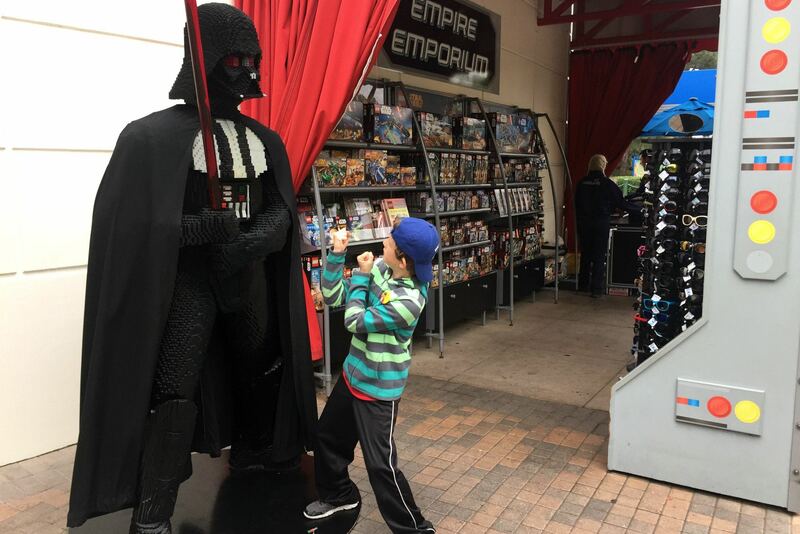 We quickly discovered the San Diego Metro KOA Campground to be just the place we needed to refresh as a family after a fast-paced schedule. 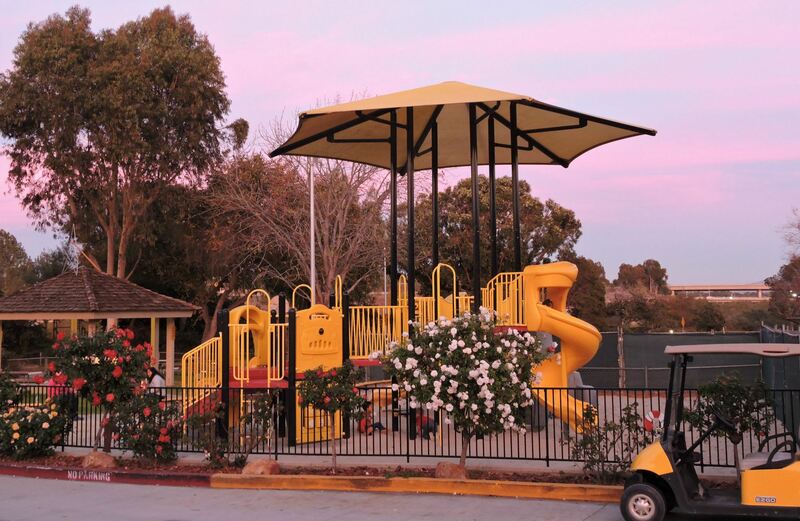 Thankfully the San Diego KOA is built for families and especially kids. We arrived on a Saturday in mid-December and I was surprised to see how many RV’s were in the resort. 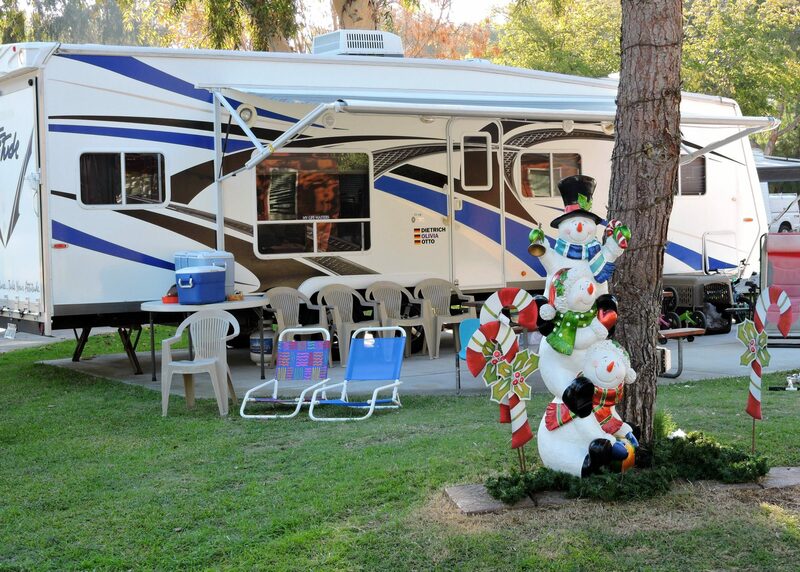 Christmas trees and lights adorned many of the RV’s and clearly everyone was enjoying the season. There was a fun summer camping atmosphere everywhere I looked. For us Canadians it was hard to believe it was December! The giant pool caught our attention right away. If you like swimming laps or just having space while you play with your kids in the water, then you’ll love this oversized pool and hot tub! We had barely parked the RV and put the slider out before our kids had changed into their swimsuits and were off for a dip. And it was fantastic! Perfect temperature. Great for Jay to toss the kids. Big enough for long games of “Marco Polo.” I can only imagine how much use the pool gets during San Diego’s hot summer months. It must be quite popular as they are working on building an additional pool set to open soon. Since we arrived on a Saturday, lots of extra activities were available to enjoy. No sooner had the kids popped out of the water and put dry clothes on, than they were fully harnessed up and climbing a rock tower! For a small fee, climbing is made available on most weekends during non-summer months. My youngest especially loved climbing his way to ring the bell at the top of several routes. 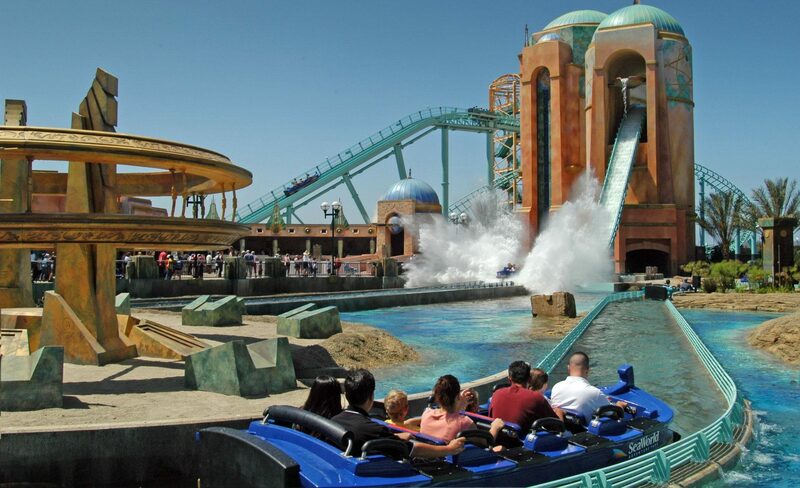 During the peak season and on special weekends there are tons of organized activities for the family to enjoy. 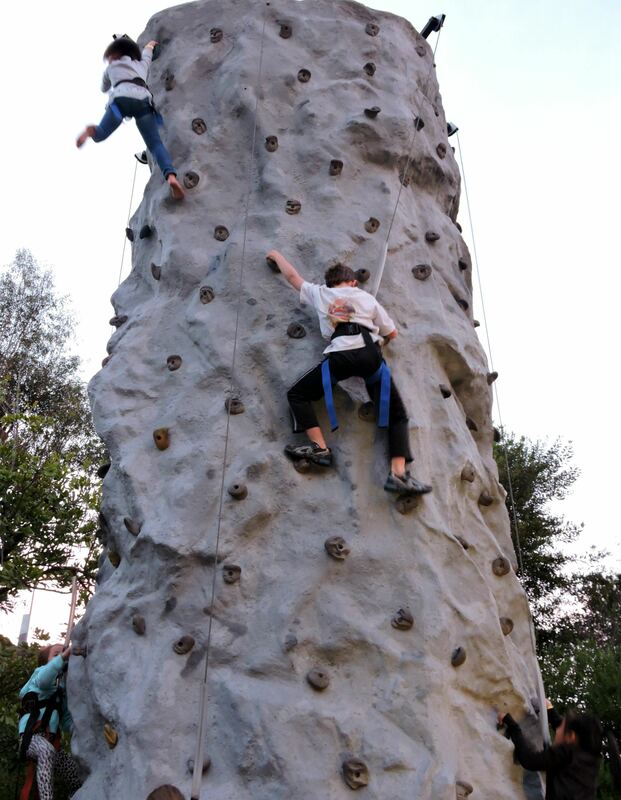 Laser Tag, wagon rides, campfires, crafts, beer tasting, playground, organized games and more. This is not your normal KOA Campground. As I cooked dinner in the RV, our kids explored the campground. They returned with flushed faces eager to take me to see their grand discovery. The coolest bouncy “blob thing” they had ever seen. “It’s so cool, Mom, and it’s even FREE!” Sure enough, they bounced all their RV road trip wiggles out and made up games with new found camper friends. And though these activities are wonderful, my own personal favourite had to be the bikes we rented for an hour the following morning. We sat low to the ground with pedals out in front, steering a bit with our bodies. It took just a minute to adjust to the new way of riding and then we were off. The kids each took a turn leading the way all around the KOA campground and the hour flew by quicker than I imagined it would. 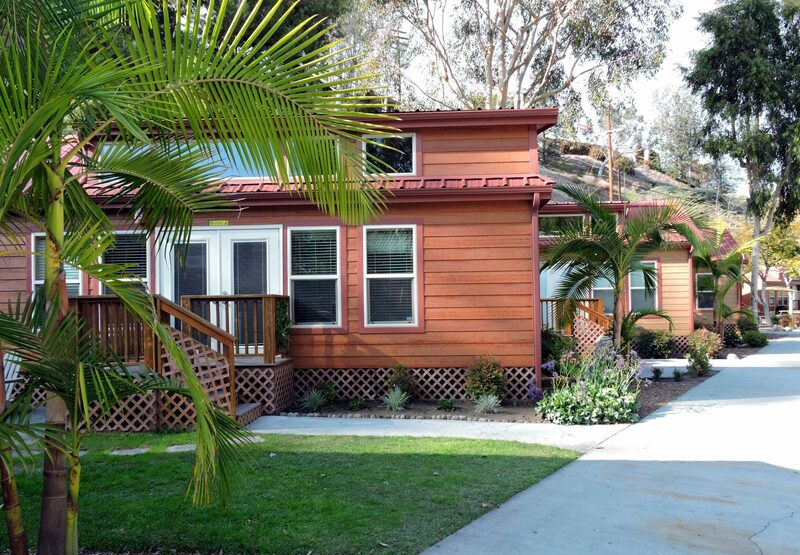 San Diego Metro KOA Campground has several different accommodation options. We of course had the RV, so our choice was easy. But tent sites as well as various rustic and modern cabin options are available for your camping pleasure. The bathroom facilities were clean and modern. They even have a large shared BBQ pit and kitchen area for those staying in cabins and tents. We stayed four nights and I’m sad it wasn’t longer. In the beginning of our RV road trip I wasn’t sure how I would feel not camping in a tent. San Diego KOA Campground made it easy, comfortable, but mostly FUN. It was a great place to stay with our family to enjoy a different kind of camping. 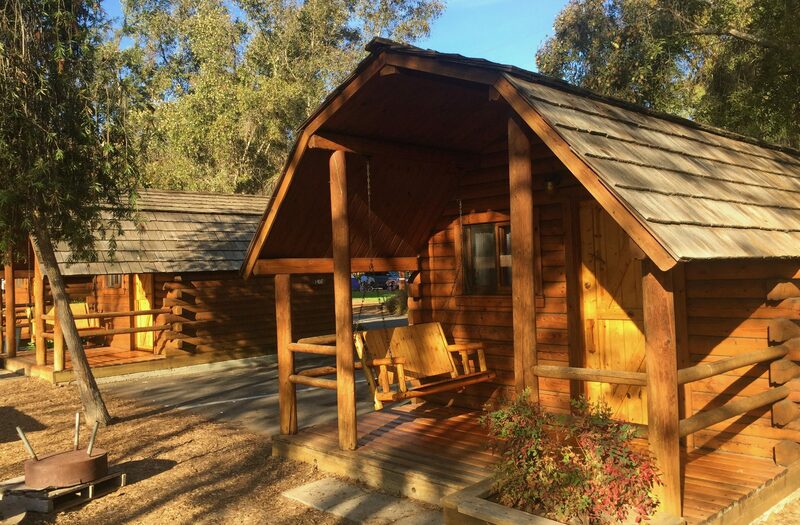 If you’re looking for a home base campground to take part in all that San Diego has to offer, then this is a great choice. 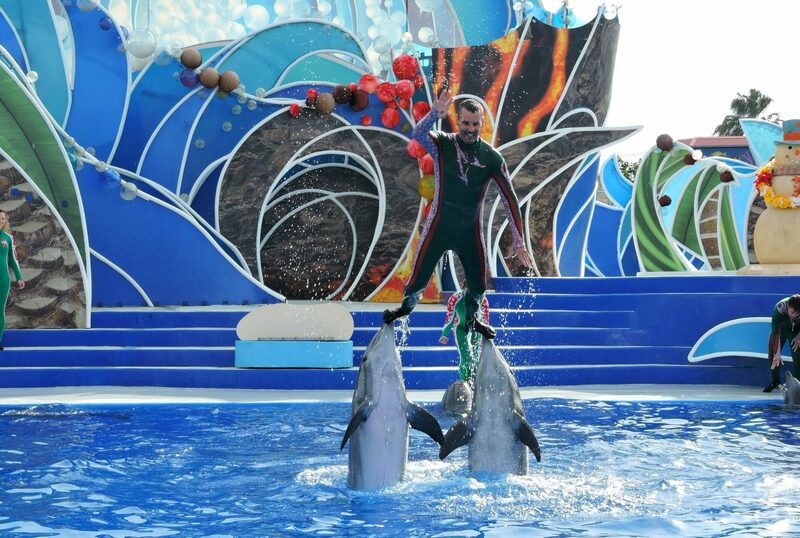 SeaWorld was a day full of laughter, learning, screaming and exploring! (20 minutes away). 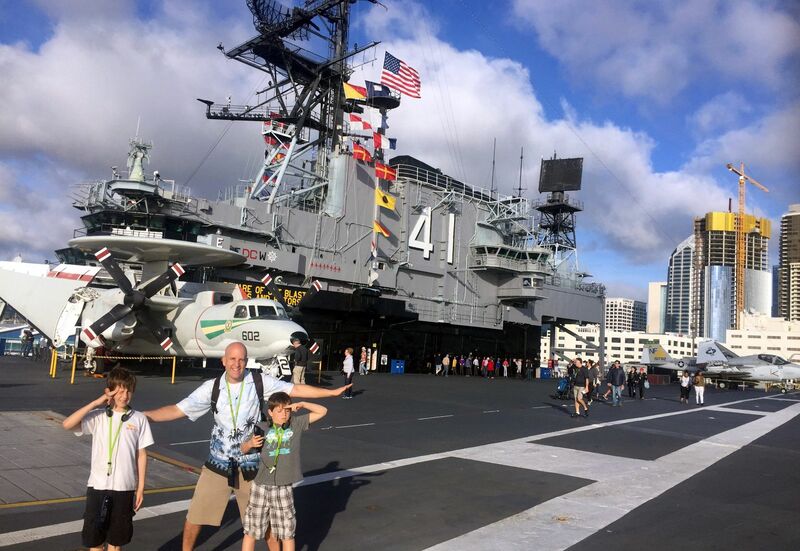 We also enjoyed touring the Midway Aircraft Carrier Museum about 30 minutes away as well as our kids’ favourite attraction – Legoland California! (45 minute drive). Amenities: Check out all KOA San Diego has to offer – Also check out activities near by. Prices: During non summer you are looking at about $75 a night for an RV with full hook ups. During the summer it can jump up to $115 a night and higher. 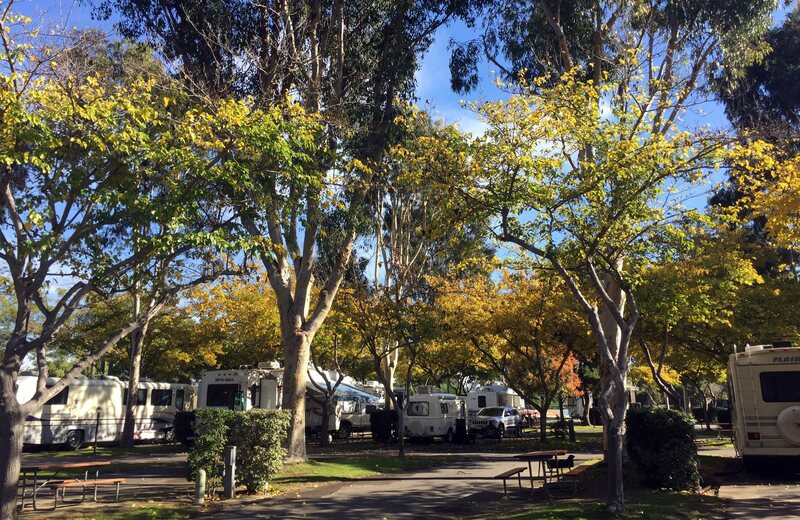 Know before you go: San Diego Metro KOA Campground is in an urban location. Do not expect to be wilderness camping, although once you are in the campground it feels very “campy”. There is a highway near by and on quiet days and nights you can hear some highway noise.